I've had this board out 3 times now at Mount washington. I've been riding for about 5 yrs now and am definately a groomer. My colleagues and I all use K2 products - We all sell it as retail managers- I love this board and it rides incredibly well! Getting my petite self up to top speeds with confidence is so simple on this board. The only problem I've had ( have never seen on another K2 board) IS that all the material at the tail is chipping away... It looks like my board might have some defects in the construction. Some of the laminate near the bindings has also been peeling away. I'm working it out with customer service currently. They seem quite helpful. But regrettably I won't be replacing this model. I hope no one else has had this problem. 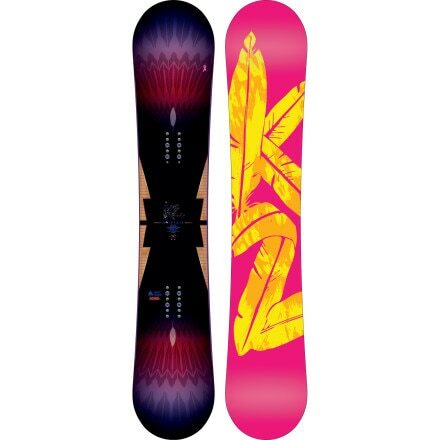 No K2 Wolfpack snowboards were found on eBay at this time.